Muscular dystrophy couldn’t keep Paul Robertson from the water, and he doesn’t want muscle disease to stop anyone from doing what they love. “When you get on the water, it’s a sense of freedom. 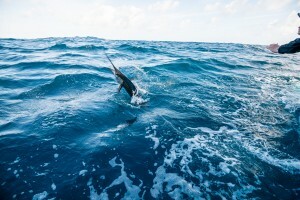 It’s just the thrill of the bite, the thrill of the competition, the thrill of being on the water,” the lifelong boater and fisherman said. That’s why, blending passion and purpose, Paul started Fishing for Muscular Dystrophy (FFMD), a professional fishing team that is raising awareness of muscular dystrophy and funds for the Muscular Dystrophy Association. 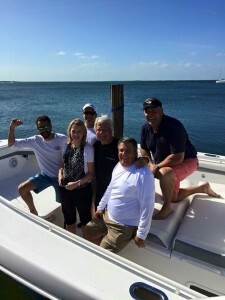 A mere 11 months after Paul first approached MDA with his idea, he was captaining a brand new boat with an 8-person team at FFMD’s first tournament — the Jimmy Johnson National Billfish Championship in Key Largo, Florida. The FFMD team came in sixth out of 31 boats during the competition (a very respectable showing for a maiden voyage) and netted an award for getting the last bite one day. In addition, the group staffed a tent, organized a raffle and sold swag, all to help raise funds and awareness for the MDA. 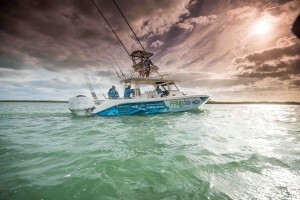 Paul’s goal is to send $1 million back to MDA each year, raised from tournament winnings, fundraising and corporate sponsorships, like the one from Everglade Boats, the manufacturer that donated a significant portion of the team’s boat fresh off the assembly line. But Paul’s vision isn’t limited to the fundraising and sponsorships. He also wants to create more teams focused on different kinds of fishing and captained by other fishing enthusiasts who have a muscle disease. “Why not let someone else feel good about what they can do?” he said. Paul was diagnosed with limb-girdle muscular dystrophy 15 years ago and was in denial for at least 12 of those years, he said. A bad fall and words from a friend got Paul on the road to where he is today. The whole enterprise has been therapeutic for Paul. He’s happy to be doing good, while doing what he loves — being out on the water — and he hopes FFMD can make a difference in others’ lives too. Seeing his vision come to life in Key Largo was fantastic, Paul said. Besides the support from 30-plus family and friends who came to cheer on FFMD, there were other indications that he was on the right path. Paul was thrilled, for example, to meet others who had personal experience with muscular dystrophy and loved what the group was doing. Next up is a tournament in Key West, Florida, and after that the team is off to the Chesapeake Bay in Maryland. With a parade of trucks, trailers and boats plastered with the MDA logo, the group is sure to have more encounters with people whose lives have been touched by muscle disease. For more on FFMD, visit their website or follow them on Facebook and Twitter.